No Oscars here, and you already know how it ends, but it's joyful, jubilant. A "feel good movie," as opposed to By the Sea, which I'll review soon. 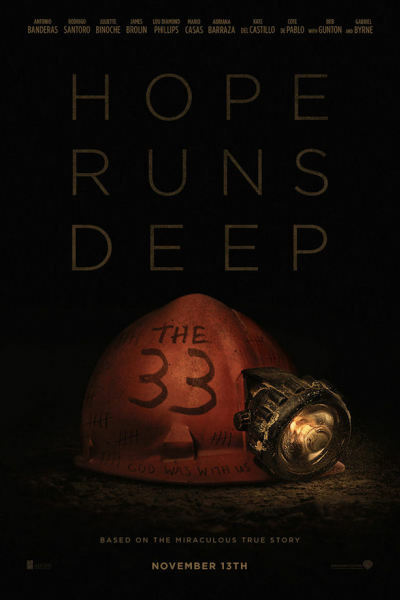 If you're looking for a sweet family film, The 33 is the ticket. "God was with us," they wrote on the wall of their coulda-been/shoulda-been tomb. At 2 hours and 15 minutes, it runs a smidge long, but what the heck; if they survived 69 days, the least you can do is slurp a soda and honor them with your time.